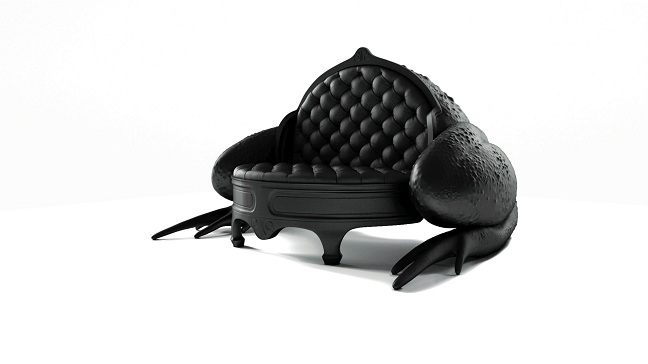 The Toad Sofa by Máximo Riera is the newest from the Animal Chair collection, which constitutes a diverse range of species, from mammals to reptiles, and even including insects. Each creation retains the animal’s natural vitality whilst being totally biological accurate in their appearance. This collection is homage to these animals and the whole animal kingdom which inhabits our planet, as an attempt to reflect and capture the beauty of nature in each living thing. 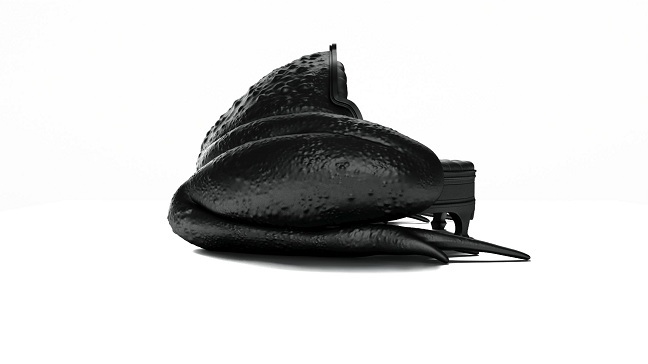 The Toad Sofa chair resembles the common species of Toad that inhabits the European and North African continents. Emerging from hibernation as an oversized piece, it constitutes the first two-seater chair of the collection. The design of The Toad Sofa has required using the back part of the animal. Being a headless representation has made it easier to establish an emotional connection with the viewer. 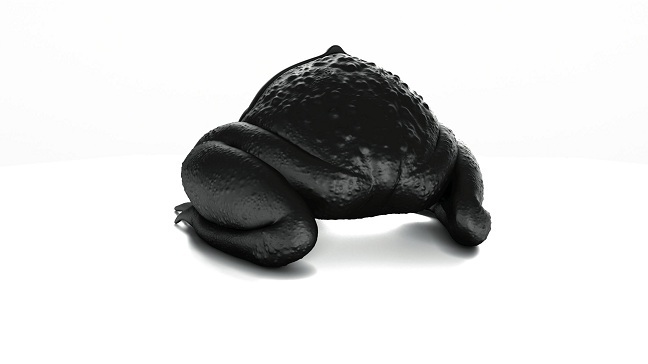 For the front seat section, the Artist has opted for a minimalist baroque style, where the smooth and simple surfaces offer a firm contrast with the irregular bumps on his leathery skin. This feature, which helps the animal to visually blend into its environments by breaking up its outline, is the most singular aspect of this piece and has an opposite effect in urban surroundings. Like a bustling city, it conceals during the day only to emerge at dusk. The Toad Sofa proclaims the misnamed ugliness of unconventional figures and believes in new interpretation of archaic concepts: being truthful to himself even if kissed by a princess.